Today on homify we’re heading into the bathroom. This room is unquestionably one of the most neglected spaces in the home, but it certainly needn’t be! 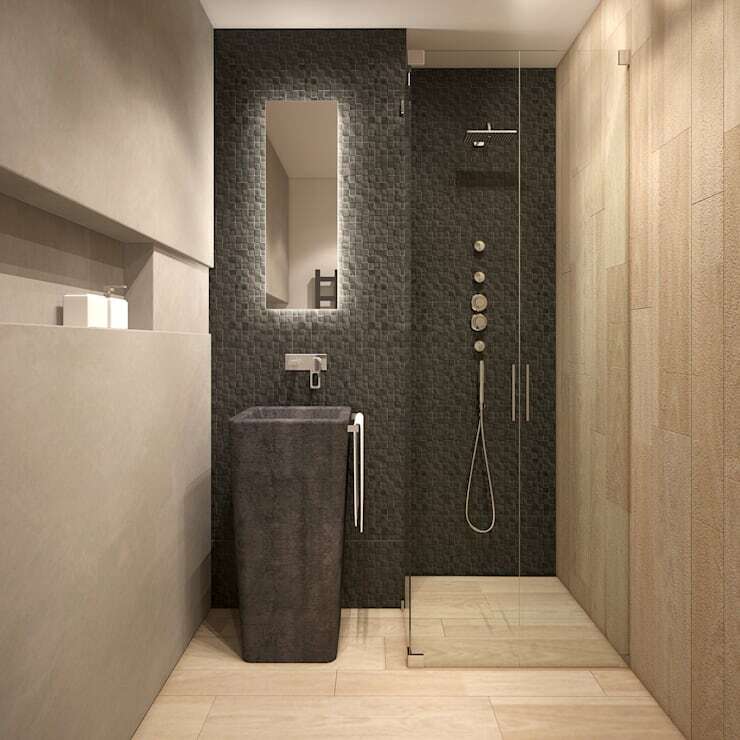 As an intimate, private and tranquil escape within the home, bathrooms should be treated with care and attention to ensure they are enjoyable and contribute to the home’s overall value and design. To achieve this, we’ll be looking at hotel-style bathrooms, along with some tips and tricks that will help you to realise your own 5-star luxury wash space. 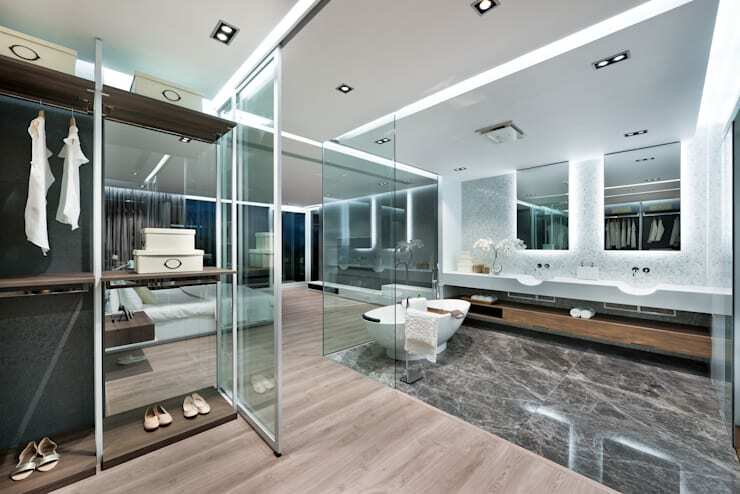 A hotel inspired bathroom is truly one of the simplest ways to incorporate a modern, sophisticated and chic aesthetic. Want to see how to get this started in your own abode? Read on below and begin planning your new bathroom today! 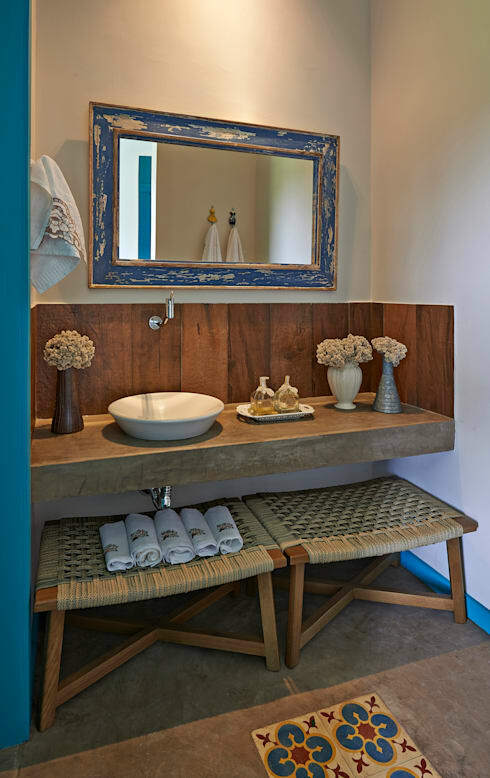 One of the best ways to create a sumptuous hotel-esque bathroom is to employ an earthy colour scheme. Not only will this add a sense of serenity and tranquility, it adds depth to a room, and is perfect for compact or smaller spaces. If you bathroom is small or compact, it needn't look it! Employ some creative décor, which is sure to provide interest and engagement with the space, while imparting a unique aesthetic. Many hotel bathrooms are quite unique, and this can be easily replicated in your own abode. 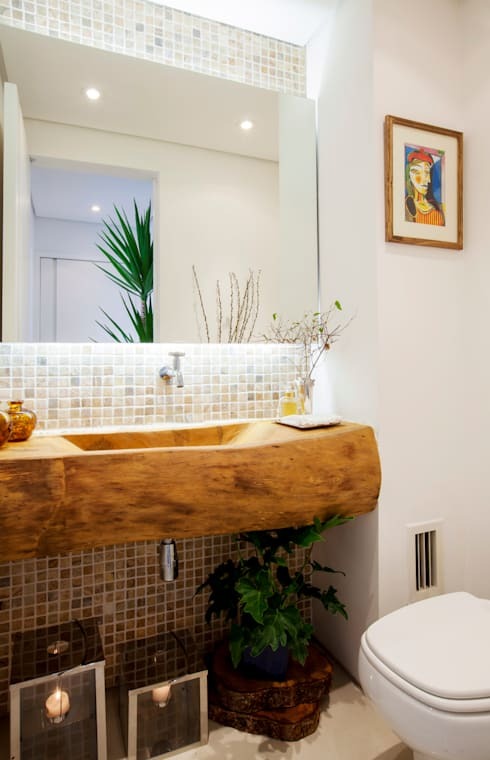 Add paintings, artwork, indoor plants and interesting lighting to really boost the vibe and energy in you bathroom. For bonus points, employ an eye-catching basin or vanity! Forget old-fashioned bathroom shelves and look to a far more efficient and stylish option. These built-in shelves look great, add areas for candles, as well as a space for additional accessories. Here at homify we are constantly professing our love for the humble indoor plant, but it's not hard to see why. They bring life and energy to an indoor space, as well as cleaning and detoxifying the air, which is a definite win-win for any household. 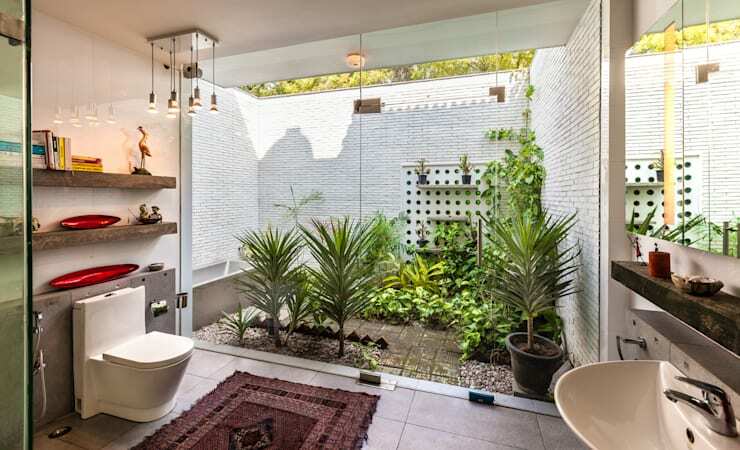 Add a little greenery to your bathroom, and watch your space come alive! For that earthy, hotel spa look, you need dynamic ideas that are going to make a real statement! 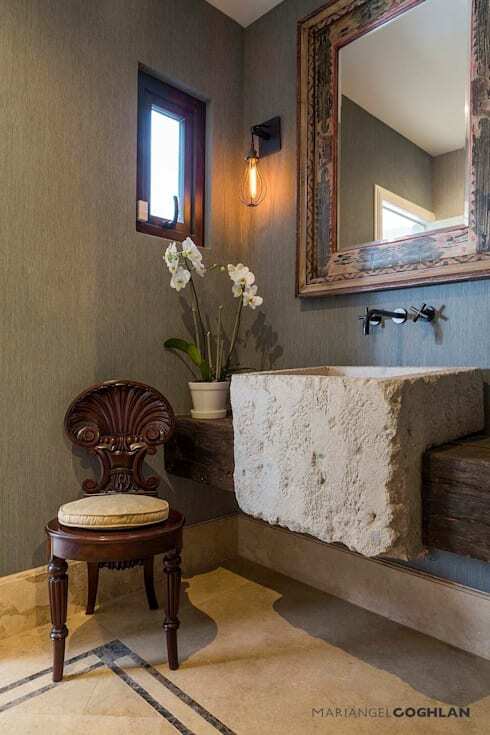 This stone basin evokes a sense of luxury, while offering a sense of rustic spa elegance. 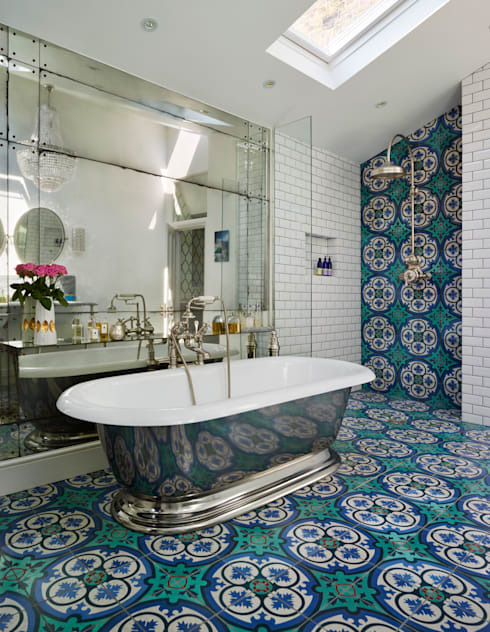 Nothing says luxury, charm and character like a colourful and engaging bathroom. In this space, designers have utilised bright mosaic tiles, along with a range of different textures to reinvigorate a boring bathroom. Bathrooms tend to be decorated in neutral and often muted hues, but a bright bathroom is a great alternative. 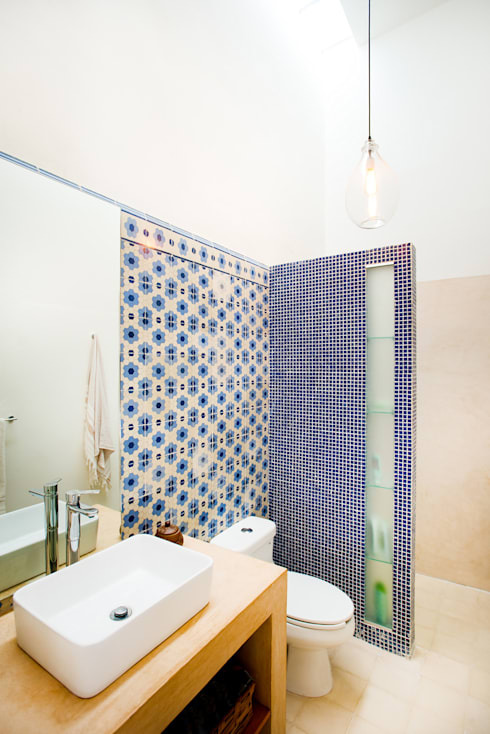 Take some cues from this vivid wash space, and choose a tile that is sure to amp up your home's atmosphere. In addition, the antique mirror wall boosts the room's majestic ambience, while featuring the gorgeous freestanding tub. Coming to the end of our list we step inside a gorgeous bathroom that oozes charm and charisma. 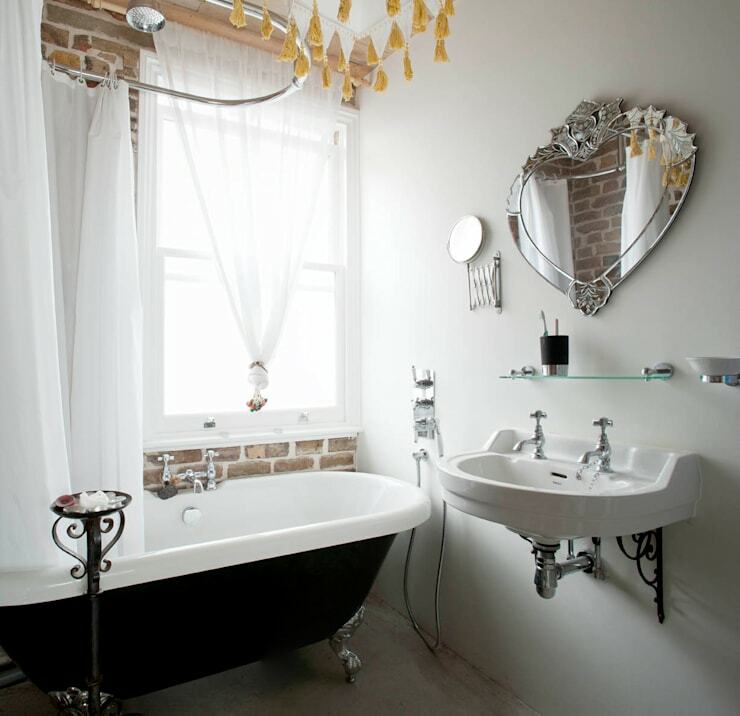 Styled like many luxury bed and breakfasts, this space boasts a freestanding vintage tub, and a light-filled ambience and aura. Adding ample glazing in your bathroom is sure to give it a 5-star hotel ambience. 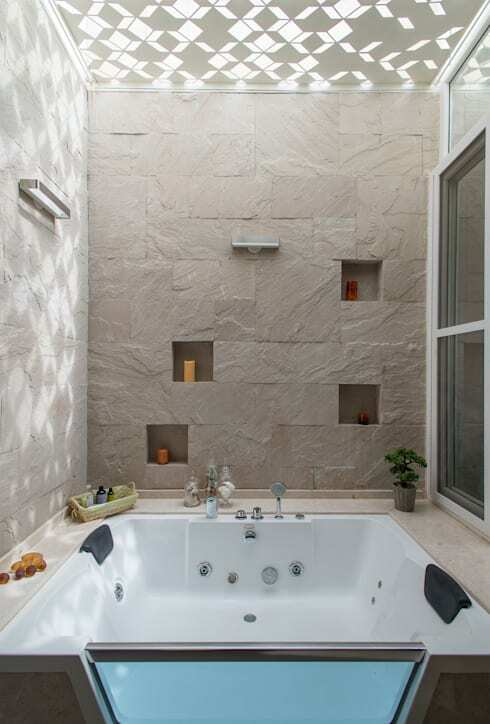 Take this luxurious and lavish wash space as an example. The walls are glass to promote light flow, while the mirrors sit proudly upon the adjacent wall. Would any of these tips work well in your bathroom?